The Spanish rail industry is enjoying a record investment year due to the acceleration plans to develop the Mediterranean, Atlantic and Cantabrian-Mediterranean Corridors. Railfreight.com has talked to the Deputy Director to the Presidency of Adif, Raul Miguez Bailo, about these projects. All Spanish governments have considered the Mediterranean, Atlantic and Cantabrian-Mediterranean corridors as key rail infrastructures for the last decade. What is the level of implementation? Raul Miguez: These corridors are strategic projects for the Spanish rail freight industry, passenger services and business competitiveness of the railway. Adif has put a huge technical and budgetary effort to develop these infrastructures. The Mediterranean corridor has a total budget of 23.3 billion Euros, and we have have spent 14.4 billion Euros up till 2018. The Atlantic corridor has a total budget of 41.4 billion Euros, of which 24.5 billion Euros was spent. Meanwhile, Adif has focused on developing the rail track Sagunto-Teruel-Zaragoza on the Cantabrian-Mediterranean corridor. The budget for this line totals 386 million Euros, of which 9.35 million Euros has already been spent. In addition, Adif is also constructing the high-speed rail track Castejon-Pamplona (Navarre), freeing up space on the existing line between these cities for freight only. The rest of the Mediterranean-Cantabrian project is still at a preliminary study stage. How many kilometres of the Cantabrian-Mediterranean corridor have already been developed and when it is expected to be completed? Raul Miguez: As I explained previously, Adif is developing a high-speed track between Zaragoza (Aragon) and Pamplona (Navarre). Adif is currently constructing the section between Castejon and Pamplona (both in Navarre), with a total length of 75.5 kilometres. Adif has already completed the subsections Castejon-Cadreita and Cadreita-Villafranca, totalling 14.7 kilometres, and started civil works for subsections Villafranca-Peralta and Peralta-Olite, which total 14.7 kilometres. Adif has just awarded contracts to develop subsections Olite-Tafalla Sur and Tafalla Sur-Tafalla, which total 14.6 kilometres. Subsections of the bridge over river Ebro and railtrack Tafalla-Campanas are set for the study stage and Campanas-Esquiroz will be included in the informative study for removal of Pamplona’s railway junction. The Ministry of Development has not set a target date to complete the Cantabrian-Mediterranean corridor yet. Spanish regions of Galicia, Castile and Leon and Extremadura and the Portuguese ports. 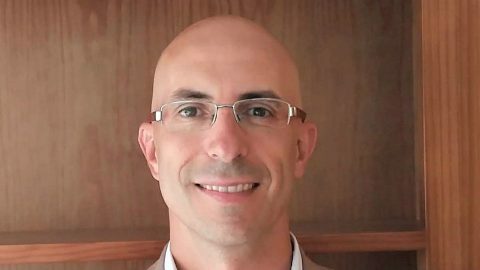 How are the Portuguese infrastructure manager Rede Ferroviária Nacional (IP) and Adif working together? Raul Miguez: ADIF and IP are used to coordinating train traffic between both countries. In addition, we are working closely together to develop common strategies and agreements after the Iberian summits. 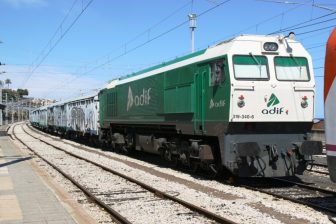 As a result, ADIF and IP are completing several projects such as the electrification of the railway track between Vigo (Galicia) and Porto (Portugal) and the railway line Salamanca-Fuentes de Oñoro (both in Spain)-Vilar Formoso (Portugal), having already spent 12.5 million Euros in the former update (8.4 per cent of the total budget). There has been an explosion of infrastructure projects since December 2018, prior to general elections on 29th April. Could you list the most important projects to be developed by Adif? the of standard gauge at rail track between Castellbisbal and Martorell (Catalonia), under the Mediterranean corridor project. The Spanish government decided to start selling unused rail stations in 2013. How many has the government sold? Raul Miguez: The sale plan is part of a more ambitious programme to increase income. Adif owns around 400 unused stations, although it is only trying to sell facility with an evident interest for potential buyers. Adif has already sold 15 unused stations for 3,560,720 Euros and has transferred Canfranc station to the regional government of Aragon for 354,504 Euros. In addition, it has rented 165 unused stations. The extension of rail freight facilities in Vicalvaro and Aranjuez, both in Southeastern and Southern Madrid, is essential to complement the station of Abroñigal and to eliminate bottlenecks in Madrid. What is the level of implementation of this project? Raul Miguez: Adif wants Vicalvaro station to take a key role for rail freight transport in Central Spain. 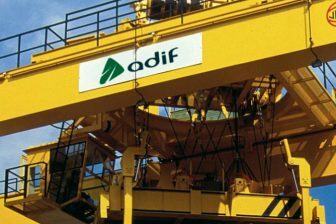 Adif has recently tendered the first phase of the project (addition of four new rail tracks to handle 750- metre length trains in the southern facility), expecting to conclude this project in 2019. The overall project includes the grouping of general railways, construction of an intermodal area, six additional tracks and upgrading eight tracks to handle 750-metre trains,. We expect to complete this in 2014. Adif is still analysing several offers to build an intermodal area in Aranjuez station in order to design a complete project. The tender will be published later on. Finally, Adif will analyse what else to do with the Abroñigal station. 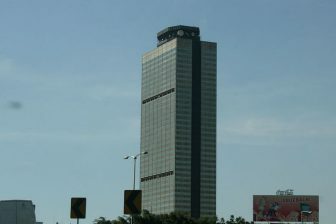 Which projects will continue no matter what is the result of the next general elections? Raul Miguez: All the projects which are in full-swing after being planned by the Ministry of Development.